The Coahuilan box turtle is also known as the aquatic box turtle. This is a perfect description, as unlike other box turtles, Coahuilan box turtles spend over 90% of their lives in the water. Of all the box turtles, this is the only aquatic species. One mystery about these turtles is their lifespan – it’s unknown. The Coahuilan box turtle is native to Coahuila in Mexico, hence their name. This species is endangered and is rarely found anywhere other than Cuatro Ciénegas in Coahuila, Mexico. You may stumble upon pockets of these turtles within 800 sq. km of Coahuila, but due to their small population, which is estimated to be around 2500, there are strict laws in place to protect this species. The Coahuilan box turtle belongs to the box turtle (Terrapene) genus and the Emydidae family. Unlike other box turtles, this peculiar species is perfectly adapted to spend most of its time in water. Like other box turtles, their shells are hinged and can hide their entire body if necessary. In terms of appearance, this species’ skin color ranges from brown to deep gray and to black. It’s not normal to find algae growing on their shell. Adults are usually between 3 to 6 inches in size. While the exact lifespan of this species is unknown, it is estimated that in the wild, they can live over 65 years. In the wild, the Coahuilan box turtles are opportunistic feeders and eat what they find. They feed on crayfish, fish, reptiles, true bugs, beetles, dragonfly nymphs, fly larvae, and plant matter, mostly spike rush. While an adult aquatic box turtle can be fed every 2 to 3 days, young Coahuilan box turtles need to be fed every other day. Make sure to feed equal portions of vegetables and proteins. They are not picky eaters and eat whatever you feed them. Good sources of protein are earthworms, sow bugs, tree bugs, grubs, slugs, beef heart, feeder fish, wax worms, crickets, snails, natural prawns, shrimps and many more. Vegetables that you can feed them include spinach, romaine lettuce, and spike rush (Eleocharis). They also eat other leafy greens. In addition to the veggies, they eat fruits like sliced bananas, and strawberries when given to them. Supplementing their diet with fruits ensures they get all the needed vitamins and minerals for healthy growth. Also, formula box turtle food like Rep-Cal Maintenance Formula Box Turtle Food with Fruit can provide the needed nourishment. Even if you decide to feed your Coahuilan box turtle formula food, it is always advised to supplement this with natural foods. In the wild, which is Coahuila, these turtles spend almost all their time in water, swimming in tall grass and brushes of marshland. They prefer shallow water with dense vegetation. Since they spend about 90% of their lives in water, the artificial set up that houses them should have enough water for them to swim in. An enclosure that holds 75 gallons to 100 gallons of water should suffice. You also need to place plants in the aquarium. Plants such as the water hyacinth, and Eleocharis (spike rush) are excellent choices. Since these species feed on plants, you need to replace the plants from time to time. Edible aquatic plants can usually be purchased cheaply and aren’t a hard to replace. In addition to an abundance of plants, the aquarium also needs a log; this serves as a good hiding spot. An aquarium pump and filtration set up is necessary to ensure that the water is clean at all time. A TetraPond Submersible Flat Box Filter and Simple Deluxe Submersible Pump set up is one I recommend. Providing a good light source is important as it enables turtles to synthesize vitamin D3. A good light source is one that provides the turtle with adequate amounts of UVB rays. For a natural light source, you can place the habitat by a window that gets a lot of sunlight. You can also acquire an artificial UVB light. Finally yet most importantly, while this turtle is aquatic it still needs a terrestrial place to bask. While this area doesn’t need to be large, there should be enough space for the turtle to move about. The Coahuilan box turtle reaches sexual maturity around age 15. Mating season is usually from September to June. The adult female is capable of laying three clutches of eggs yearly, from May to September. 2-3 eggs make up each clutch. Unsurprisingly little is known about animals that prey on this species. Species known to prey on aquatic box turtle include raccoons and coyotes. 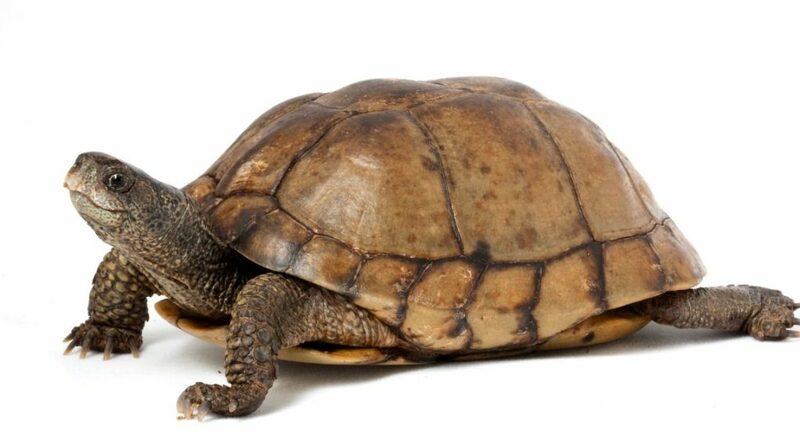 Due to the loss of its natural habitat, the aquatic box turtle is endangered. The adult population of this species is estimated to be about 2,500. As such, there are laws that protect the wild aquatic box turtle. If you plan on keeping this turtle as a pet, you have to check with the rules of your state and ensure that it’s legal. In many states, pet owners need permits to raise this turtle. Due to their endangered status, acquiring an aquatic box turtle requires you to do your research. You need to find out if it’s legal to keep this turtle as a pet. You may require a federal permit to keep this turtle. 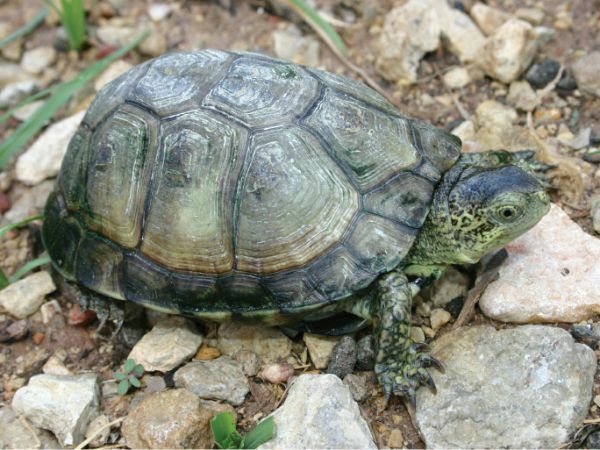 Due to their rarity, aquatic box turtles that make it onto the market are usually expensive. It is advisable to seek help from an experienced turtle breeder or a wildlife professional if you wish to care for this turtle. Over to you now. Do you have one of these beauties? Are you considering it? Let me know in the comments below.